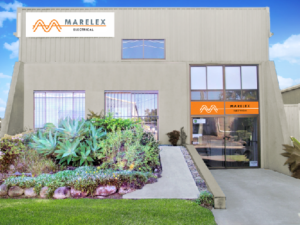 Marelex is an Australian owned and operated Electrical Engineering company that as been in operation for 30 Years. Artists impression of our new building facade in Lismore NSW. At Marelex we enjoy the challenges of solving Electrical Engineering problems with and for our customers. We can advise on and manufacture electrical equipment to suit your needs. Marelex is Austrlia’s premium Switchboard and control panel manufacturer. We only use quality renowned brands with outstanding performance for Switch Gear, Motor Control, Timers and Relays. Marelex uses mainly Aluminium sheet metal with more support, so our custom switchboards are not flimsy, require no maintenance or painting and will last a lot longer than cheap powder coated mild steel switchboards. We work closely with our customers to determine the best layout and design prior to manufacture, thereby reducing time spent with onsite modifications which results in reduced project outlay. 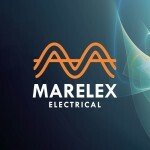 Marelex Electrical is a member of Master Electricians. Motor Control ( Soft Starters, VSD Variable Speed Drives, VFD Variable Frequency Drives ). Digital Displays that provide real time information on voltage, current usage, Power Factor. Custom made switchboards and panels to fit in existing switch rooms, through doorways etc. Form 1, 2, 3 or 4 Switchboards. Chemical batching or mixing plants. If Your looking for quality that will last longer with less gear breakdown look no further. CONTACT US to discuss how we can help with your next project.